We Provides nice, clean and comfortable overnight lodging for Travelers to the COLUMBIA HEIGHTS,MINNESOTA . Our motel has 38 spacious and clean rooms with a variety of additional amenities Free Cable TV,Free HBO. We provide homey atmosphere for our customers. Daily and weekly rates are available. Traveling for business or pleasure, our Motel meets the needs of all. we strive to provide not only comfortable lodging but friendly and helpful service as well. 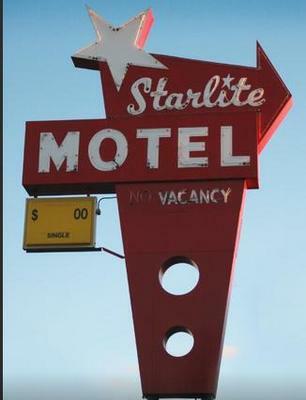 Stay at our motel for comfortable overnight lodging. We are conveniently located off 694 EAST. Exit 38 for Central Ave. on HWY. 65 at 4720 CENTRAL AVE NE, HILLTOP, Minnesota - 55421 .Centrally located our property is within walking distance of numerous restaurants including popular favourites like McDonald's, Sonic, KFC, Subway, Wendy's, Taco Bell,Chipotle, Applebee's, White Castle, Jimmy John's,Pizza Hut, Domino's, Papa John's, Little Caesars Pizza.There are also local restaurants for visitors who prefer a seated dining experience such as BIG MARINA GRILL, LA CASITA MEXICAN RESTAURANT AND ASIA CHOW MEIN. Our location is near many entertainments and shopping Mall. We are the best around. Give us a call on 763-571-8656 and our friendly staff will help you book your stay today. 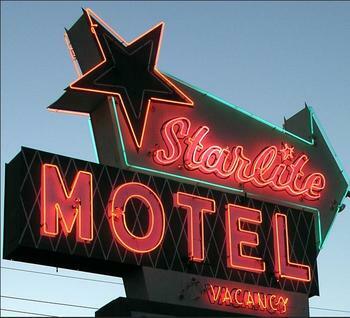 We guarantee a restful nights sleep at the STARLITE MOTEL. We are close to all the attractions of Minneapolis, Famous Mall of America, Shoping Mall ,Minneapolis and Twin Cities Airport, Minneapolis Down Town, Metrodome Games. All the fast food restaurants and fine dinings are close by. All the places you want to visit are just few miles away including Down Town. WE ARE ON BUS LINE . MasterCard ,Visa & Discover .